A modern setting, great atmosphere, with a creative name...Bubblefish brings together the best of both worlds in bubble tea & sushi. Starting off their sushi selection is fabulous. 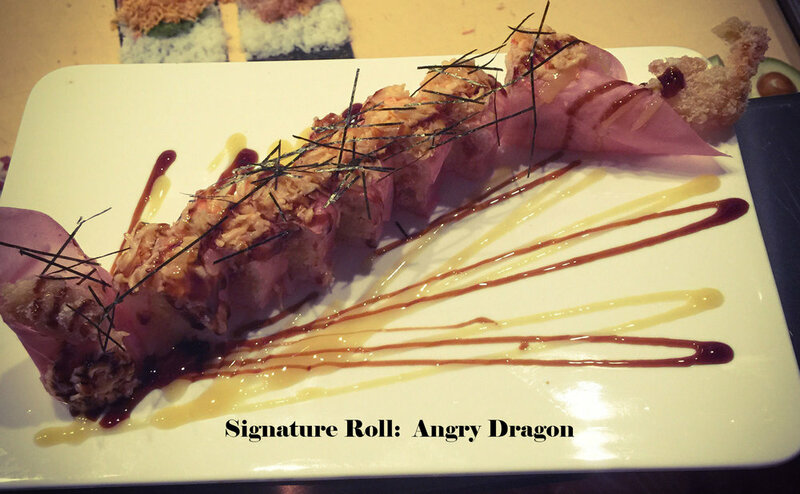 You get your typical rolls like salmon, tuna, and yellowtail, but Bubblefish really surprises you with some different names on their menu like the "Tuna Princess" or "The Angry Dragon" which has their sushi rolls connected together like a long dragon on the plate! 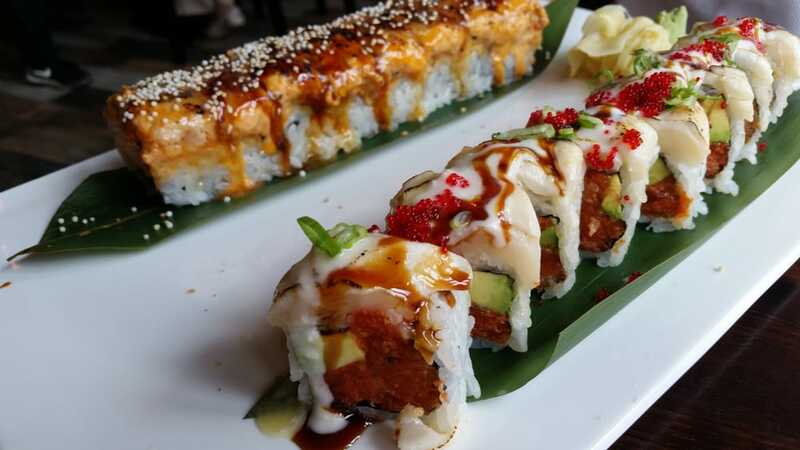 Try the Taiwanese Salt Baked Chicken or Crabmeat Salad Onigiri. Don't forget, there's no need to make 2 stops and find bubble tea for your dessert drink after eating.....Bubblefish has it too!